So much of parenting is an investment. As perhaps the most significant financial investment outside of one’s home, we understand the commitment when investing in your children’s education, in their future. Selwyn expends a great deal of time and research to ensure that the value of a Selwyn education gives your children an advantage in college and well beyond. Despite this value, we fully understand that the cost of an independent school education is a real struggle for some families. It is our priority to enable as many qualified students to attend Selwyn as we can. Like most independent schools, our tuition and fees only cover a portion of the costs of educating our children. Selwyn’s Annual Fund and other efforts work to bridge that gap. In order for students to receive financial aid, they must meet all admissions requirements of the school. Financial aid need is reassessed annually and requires reapplication and updated financial and tax information. All data submitted through this process is kept confidential and used to determine financial aid, if any. International students are not eligible for financial aid from Selwyn. Every application for financial aid from qualified students is assessed fairly and based upon demonstrated financial need. All families interested in financial aid must apply using the Grants and Aid function of FACTS. Applications can be found at https://online.facts.com. Selwyn School will appear. Click it. Follow the instructions on screen, either to create a new account or to sign in with your existing account. Families need to enter address, bank and related information. When that is complete, the school will be notified and will finalize the agreement. FACTS aid applications are not considered final until all information is entered and required tax forms submitted to the website. It takes up to 14 days before submitted applications are marked as complete. FYI, FACTS Customer Service: 866-441-4637, or contact Admissions for help. Selwyn School is proud to announce the John and Robin Doncaster Merit Scholarship. Click below to learn more about the scholarship, eligibility, application information and requirements. 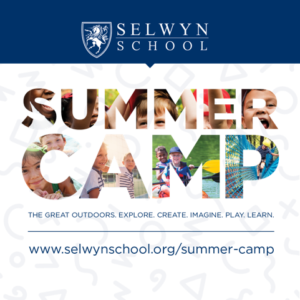 One-time, non-refundable fee for enrollment processing and related activities for families whose children were not previously enrolled at Selwyn. Tuition protection is available and allows for a partial return of tuition in the event of a withdrawal or dismissal. Tuition protection is available only at initial registration or re-enrollment. The cost is ten percent (10%) of the total tuition. Refunds are calculated at a rate of 60% of the tuition for any week not begun. Terms are detailed in the enrollment package. There are three payment options for tuition at the Selwyn School. You will be prompted to select one of these three options upon signing the Enrollment Agreement. Please see our letter regarding the FACTS payment plan for more information about Options B & C.
Option A Tuition paid in full by June 30, 2019. This plan has a 5% discount if tuition and fees paid in full via cash or check on or before May 1, 2019. Option B Pay 60% of the total tuition by June 30, 2018, and the remaining 40% by January 3, 2020. Option C This option offers deferred payments of up to 10 months, with equal monthly installments. Payments must start no later than August of the relevant school year and end not later than May of the following year. FACTS Tuition Management registration and a finance charge is required for all Option C payment plans. There is no financial assistance available for international students. Applicant is responsible for the cost of shipping documents to our school, i.e. transcripts, letters of recommendation, etc. Selwyn School admits students of any race, color, nationality or ethnic origin to all the rights, privileges and activities generally accorded or made available to students at the school. It does not discriminate on the basis of color, national or ethnic origin in administration of educational policies, admissions policies, scholarship, financial aid, athletic or other school programs.